GEORGETOWN, DE – Punxsutawney Phil says spring is around the corner. And race season at Georgetown Speedway is quickly approaching. 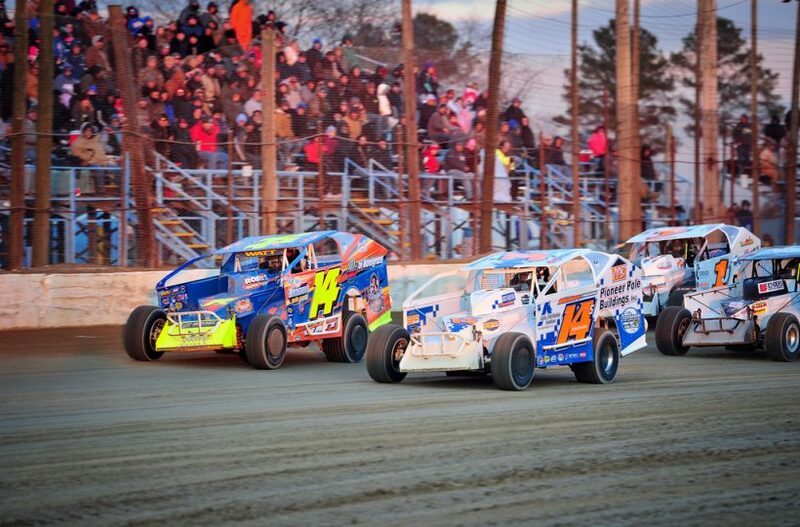 The Melvin L. Joseph Memorial will satisfy the appetites of race-starved Northeast fans on Friday-Saturday March 15-16. Two full days of racing are planned for the Sussex County half-mile oval. On Friday night (March 15), Small-Block Modifieds take the headline with a 30-lap main event offering $4,049 to the race winner. This event is open to small-block engines 363 cubic inches and below (max. tolerance: 370 cubic inches). Also on the docket are RUSH Late Models (20 laps, $1,049 to win), Delmarva Chargers (12 laps) and Delaware Super Trucks (12 laps). Modifieds and Crate 602 Sportsman competing on Saturday will be permitted to practice on Friday night with fast timers in each division earning a redraw position. Saturday (March 16) brings the 2019 opener for the Bob Hilbert Sportswear Short Track Super Series (STSS) Fueled By Sunoco. The STSS Velocita-USA South Region presented by Sunglass Central and Design for Vision big-block/small-block Modifieds race 49 laps for $6,949-plus to win and $490 to take the green flag. This is the first of eight events enroute to the $10,000 STSS Modified South Region title. The STSS Crate 602 Sportsman South Region Race No. 1 for the ’19 season accompanies the Modified brethren with $1,490 for a 20-lap main. Southern Delaware Vintage Stock Cars, Delmarva Chargers and Delaware Super Trucks will complete the day’s activities with 12-lap features. Saturday’s racing will be preceded by an appearance by NASCAR icon Bobby Allison, who will sign autographs and meet fans from 3-4 p.m. in the grandstand midway. On Friday night, pit gates open at 4 p.m. Grandstand gates unlock at 5 p.m. The drivers’ meeting is set for 6 p.m., with hot laps at 6:20 p.m. and racing at 7:15 p.m.
On Saturday, pit gates open at 1 p.m. Grandstand gates are unlocked at 2 p.m. The drivers’ meeting takes place at 3:30 p.m. Hot laps hit the track at 4 p.m., with racing at 5 p.m. Individual Friday and Saturday admission is $25 for Adults, $20 for Seniors (ages 65 and up) and Students (ages 13-17), $10 for Children (ages 9-12), with Kids 8 and under FREE. Pit admission for both Friday and Saturday is $35 for Adults (ages 13 and up), $10 for Kids (ages 6-12) and $2 for Children 5 and under. Weekend grandstand passes are available for $40 (Adults), $30 (Senior ages 65 and up or Student ages 13-17), $15 for Children (ages 9-12) and Kids 8 and under are FREE. Weekend pit passes are $65 (Adults ages 13 and up), $15 for Kids (ages 6-12) and $4 for Children ages five and under. Complete Melvin L. Joseph Memorial race information can be found on the Georgetown Speedway website. Prior to the Melvin L. Joseph Memorial, a pre-season practice will take place on Saturday, March 9 with a rain date of Sunday (March 10).